and soak hidden sebum to come out easily. :Designed to minimize stimulation of skin and prevent pore widening. :You can check directly the sebum and blackhead after 10 minutes of attachment. :Removes sebum gently with just attachment to have no physical stimulus. 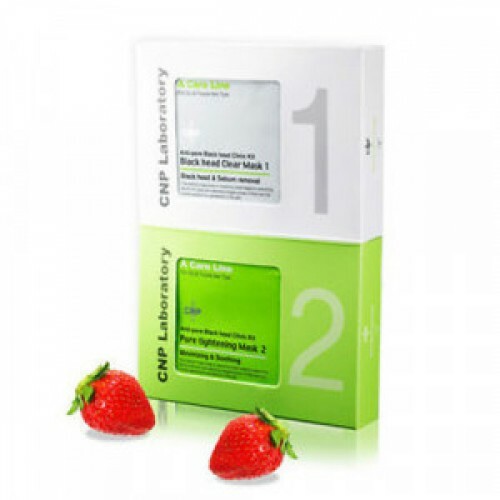 Nature extracted ingredients and CNP Anti-irritant Complex minimizes skin irritation. comfortably and gently after blackhead removal. :Zn PCA controls sebum production to prevent skin trouble by excessive sebum and oil. to blackhead area for 10 minutes. blackhead with a cotton swap. top to bottom like rolling. 4. Put 2 product mask for 10 minutes to tighten pores. 5. After removing a mask, pat lightly for absorption. *Apply 1-2 times a week depending on sebum production. to pull out sebum, it may cause skin irritation. or leather that causes damage. Be cautious.